In the spirit of action research, students complete projects that add lasting value to the local community. 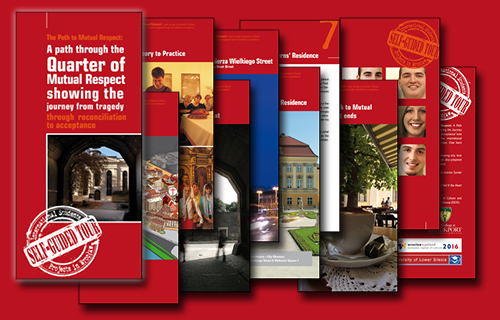 Participants prepared self-guided tours that were published and distributed by local tourist information offices and by the Municipality of Wrocław. 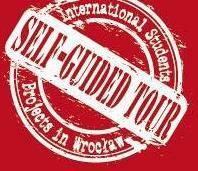 The student-authored self-guided tours not only enrich future visitors’ understanding of Wrocław and its place in contemporary Europe, but they also give local citizens a new appreciation of their city. The Quarter of Mutual Respect. Showing the journey from tragedy through reconciliation to acceptance. Ścieżka wzajemnego szacunku. Wycieczka po Dzielnicy Wzajemnego Szacunku śladami przeszłości – od tragedii przez pojednanie do akceptacji. 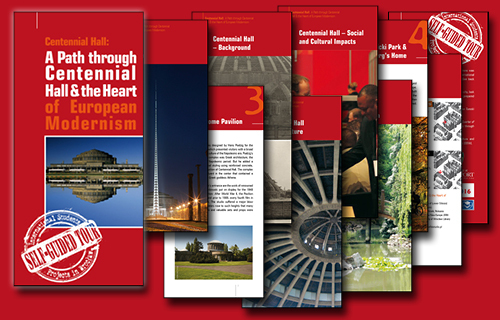 A Path thought Centennial Hall & the Heart of European Modernism. Hala Stulecia. Przewodnik po Hali Stulecia i sercu europejskiego modernizmu. 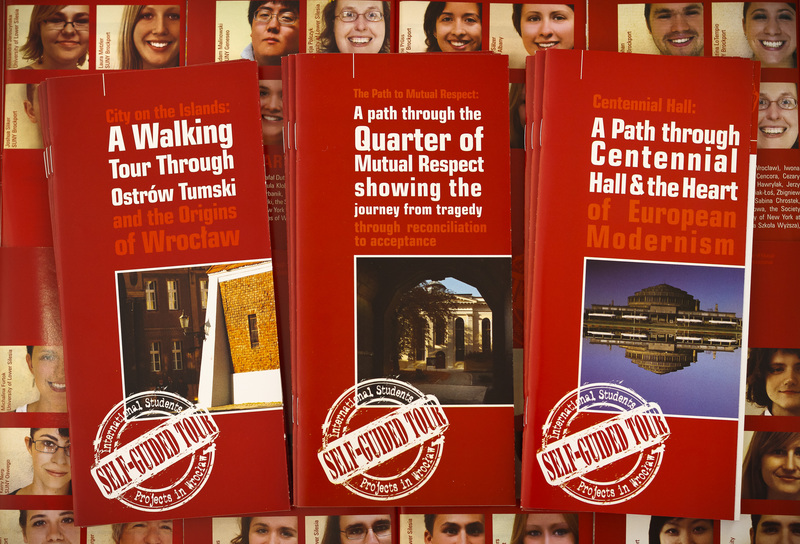 City on the Islands: Ostrów Tumski and the Origins of Wroclaw. Miasto na wyspach. Przewodnik po Ostrowie Tumskim i początkach Wrocławia. Wroclaw’s Rynek: The Hart of the Meeting Place. Wrocławski Rynek: W samym sercu miejsca spotkań.